These are the words of Adolf Hitler, addressing the National Socialist Association of Doctors in 1938. They help us to understand the importance of the medical profession in implementing the Nazi Party’s race policy. In July 1933, a new law was passed that saw the forced sterilisation of 400,000 Germans classed as carrying hereditary diseases. Hitler authorised the so-called T4 programme at the start of the Second World War. Over 70,000 people interned in psychiatric hospitals were transferred to the Hartheim, Bernburg, Brandenburg, Hadamar, Sonnenstein and Graefeneck centres, where they were killed in gas chambers. All this was done without the knowledge of their relatives, who later received a letter of condolence and an urn with their loved-ones’ ashes. The exhibition includes a photograph of Hartheim, with smoke rising from the crematorium. It also includes the coat of Dr Renno, who was head of the hospital, and a portrait of the avant-garde painter Elfriede Lohse, who was killed at Sonnenstein. The transfer of European Jews to the extermination camps in occupied Poland began after the Wannsee Conference in January 1942. Of the six camps, Auschwitz is the best known. Doctors were responsible for receiving Jews from all over Europe. The Jews arrived at the camps in livestock carriages and only a few were spared the gas chambers on account of their physical appearance. 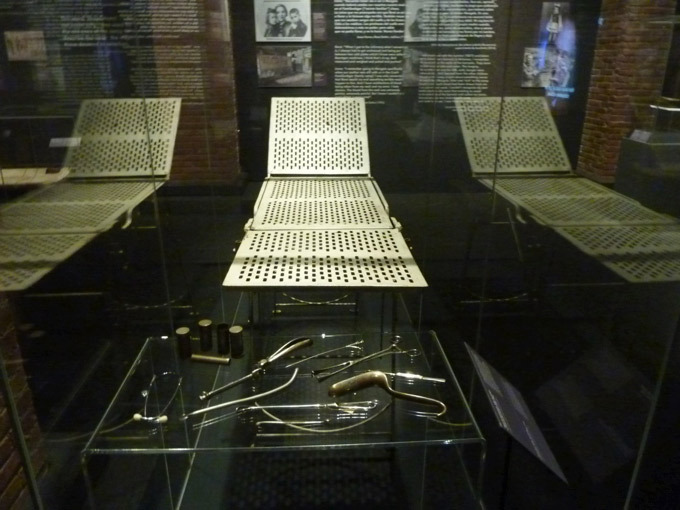 A stretcher with gynecological instruments reminds us of the sterilisation experiments conducted by Clauberg and Schuman on women at Auschwitz. Their goal was to find the easiest way to sterilise populations in the countries that would be subjected to the Nazi regime. The moving testimonies of Rene Slotkin and Irene Hizme evoke the horrific atrocities of Dr Mengele. His experiments compared the different reactions of twins, taking advantage of their unique condition. 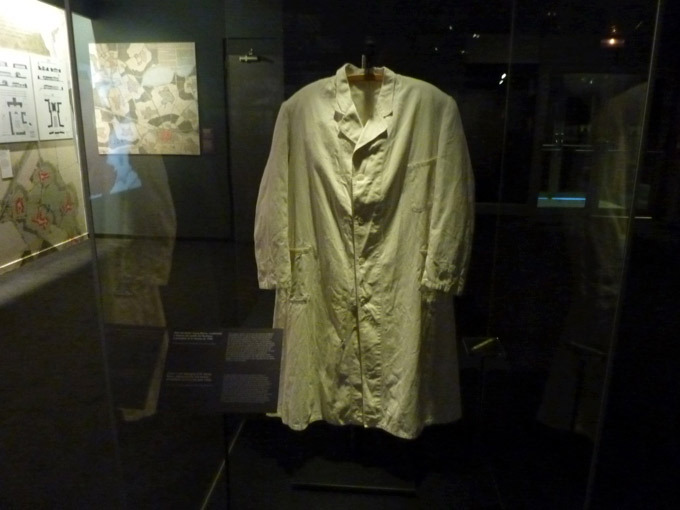 A visit to the exhibition reminds us that not long ago and not far away, there were doctors who perverted the values of their profession and committed crimes that shame us all. Esteban González López and Rosa Ríos Cortés are professorson the course ‘The Holocaust: A Reflection from Medicine’ at the Autonoma University of Madrid, Spain.